Not many people have hiked the three great American trails that make up the Triple Crown. Probably because it entails walking 3 500 kilometers along the Appalachian Trail (AT), 4 800 kilometers along the Continental Divide Trail (CDT) and 4 300 kilometers along the Pacific Crest Trail (PCT). By far the least traveled and most obscure trail, on and off the map, is the CDT. Brian Doble walked most of it with a fractured foot in 2010 and completed his quest for the Triple Crown. Here are some of his thoughts on thru-hiking and light gear. We've written about Brian Doble before. I met him as a fellow student at Backpacking Lights Trekker III expedition course in 2007 and we hiked through the Beartooth Range in the same group. Both of us lived at sea level and our bodies did not take kindly to hiking at 3000 meters altitude. Click here for Don Wilsons description of our endeavours and Ryan Jordans photos. I learned that Brian had done some long hikes, including the AT. A description of how he started out as a regular backpacker and ended up a ligthweight one can be found here (in Swedish). He also had used a hammock for part of this trip and I was curious about the pros and cons of that. Since 2007 Brian, who is an accountant, has been spending six months each year summing up dollars for clients and six months adding miles to his personal bottom line. We wrote some articles on his yo-yo of the AT, which you will find here. His 3 for 3 for that trip was an astounding 850 grams. That is also where he met his girlfriend Liz, with whom he has since been thru-hiking. Jörgen: Brian, could you give a short description of yourself as a hiker. 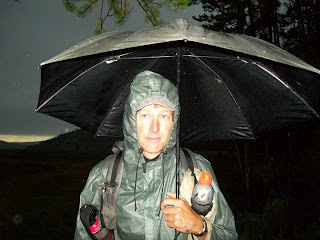 Brian: I completed the triple crown (AT, PCT, CDT) with my girlfriend Liz in 2008, 2009, and 2010. I also yo-yoed the AT in 180 days and completed the Long Trail. And I've done a lot of ultralight winter trips in the Whites of New Hampshire with Jim Bailey, whom I met in our 2007 Backpacking Light WT3 course. 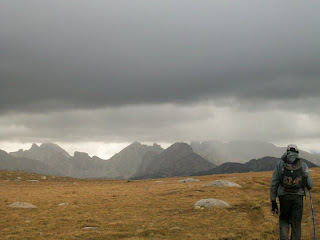 I plan on doing a fast AT southbound hike come August 2011 and would like to attempt to yo-yo the PCT and CDT some year. Jörgen: Could you give us a brief description of what the CDT is? 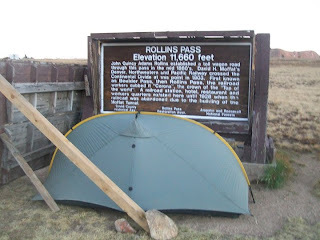 Brian: The CDT was designated a national scenic trail in 1978 and runs about 3,000 miles from Canada to Mexico along the Rockies through Montana, Idaho, Wyoming, Colorado, and New Mexico. It sticks closely to the divide for the most part, hitting 3 national parks and 25 national forests. Jörgen: Sounds like very varied terrain to me. Tell us about it. How was your hike? Time on the trail?Weather and terrain? What are your strongest memories? Brian: The CDT is a hike of extremes. There always seems to be something challenging you everyday, whether it's finding yourself lost (only 70% of the "trail" exists, and is in dire need of being maintained and rerouted from its numerous roads), too hot and dry (our main water sources in NM were cattle troughs, many of which were dry), too cold and wet (67 frozen river fords made for one tough day! ), or in dangerous weather (lightening struck directly overhead in the exposed Wind River range of Wyoming and San Juans Mountains of Colorado). Then there are the potential hazards associated with grizzlies and avalanches, as well as the annoyance of hoards of mosquitoes and the fatigue resulting from high altitude! Having said all that, at its best the CDT was absolutely beautiful and full of wildlife, the likes of which the AT and PCT can't even compare. It was physically easier than the AT and much tougher than the PCT, and was by far the most remote and wild one of the triple crown. Some of my strongest memories include the views of Glacier National Park, the thunder-snowstorms of the San Juans (which we entered late in the season, mid-October); the huge herds of elk running from us; a young grizzly approaching us, initially choosing to guard an elk carcass we were unaware of; a gunshot firing just outside our tent, which we later learned from locals was a warning from Mexican drug trafficers to leave the area; and the numerous people who helped us, especially the trail angel "network" in NM. Liz and I hiked southbound, roughly from early July to mid-November, with 2 weeks off after just the first 100 miles so that Liz could go home for a funeral. 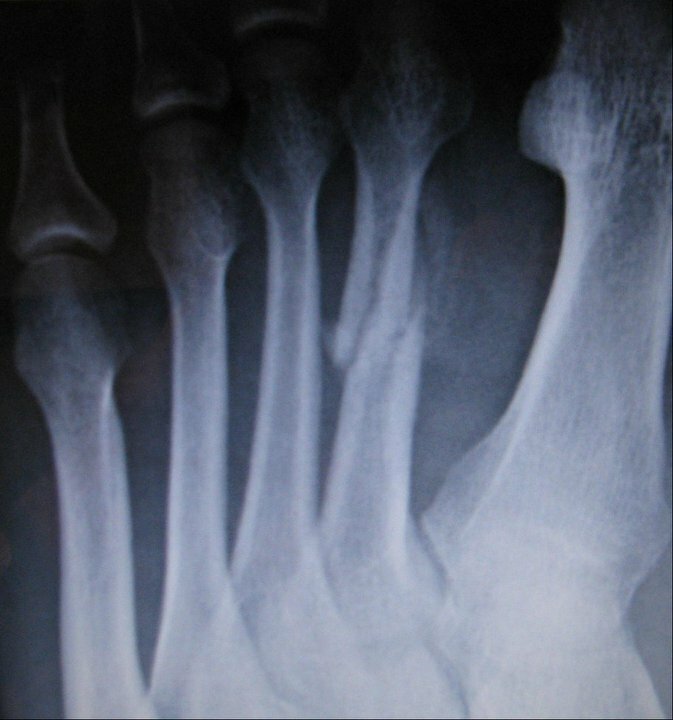 Coincidentally, I had just hurt my foot at this point, so had those 2 weeks to recover; or so I thought, as an unknown fracture from a training hike broke 70 miles in. I only confirmed the break 300 miles after that and decided that if I made it this far, I could finish, as long as at no point did I think it would cause (severe) permanent damage. I switched to lightweight boots (which I hated) and used trekking poles for much of the hike, probably limping for 7 million steps. Talk about mentally exhausting! Jörgen: Could you give us a quick overview of the gear you brought; base weight and such? Was there some gear you brought that was new to you on a long hike like this? Some gear that performed better than expected? Some that did not? Brian: I weighed my gear after the hike and was surprised to find my base weight was just under 12 lbs. This is much higher than I'd planned on carrying, although it does include group gear. New gear included a Bushbuddy stove, a Tarptent Rainbow 1+, a Thermarest Neo Air, and an Antigravity Gear Silnylon rain jacket. Bushbuddy: Typically, it worked well, but it was hard to start a fire when we needed it most. It took almost 90 minutes to cook dinner at a snowy 12,000 feet. And I ended up carrying more weight in fire starters than I'd expected for a "fuel-free" stove. Rainbow Tarptent 1+: It handled hail and some unexpected strong desert wind, and the zipper lasted until the final week of our hike after getting mud on it a couple of weeks earlier. Likewise, condensation is always a bit of an issue when you cram two people into a small, single-wall shelter, but we were always able to dry our bags. Thermarest Neo Air; This kept me warm every night except one. I remedied this the next night by complementing it with my pack and pack liner. Talk about an upgrade from a 3 oz torso foam pad that I used on the AT! 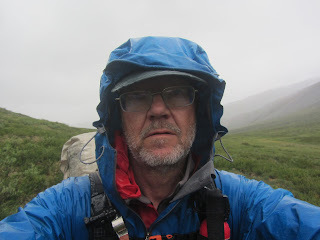 Antigravity Gear silnylon rain jacket: I only use nonbreathable rain gear because I want to stay warm, not dry, in rainy weather. But this jacket was too thin and allowed cold rain to leech right through, even after painstakingly seam sealing it. It also had a ridiculously "generous" fit, making it almost unwearable with its giant hood (yet short sleeves). ULA Helix Potty Trowel: My substitute for a certified ice axe broke, ironically enough, while I was simply digging up roots in a desperate attempt to camp on a ledge during a surprise thunderstorm above 12,000 feet. Oops, I guess it's time for an upgrade. Finally, we each had MLD Prophet packs, this being my third hike with their packs. Unfortunately, this hike pushed their limits, and the shoulder strap padding gave out pretty early on. We were fantasizing about Granite Gear Virga straps at that point, as well as its load lifters. Jörgen: If you compare the gear you brought to the gear you used on the AT and on the PCT, describe your thinking. 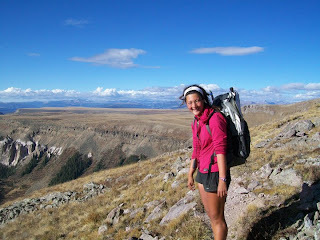 If you should do the CDT next year again, what would you do differently, gear wise and hike wise? Brian: Well, the CDT has longer stretches (100 miles on average, and up to 160) between resupply, so a larger pack volume is one obstacle. The other main obstacle of the CDT is that it takes the altitude and exposure of the PCT and combines it with the wetness of the AT. That, and the legendary mosquito season, made Liz want a tent and stove, which I reluctantly agreed to. If I were to go solo I would bring a small tarp and bivy, which would keep me dryer and cost a lot less weight. I would also skip out on the stove for the sake of saving time, although I would still bring an emergency supply of fire starters. I would also bring a GPS in order to save time and ensure I wouldn't risk running out of food. Although we were fine when we didn't have one, we didn't like spending the extra time wandering for clues, and certainly appreciated the convenience of having one. Time efficiency is important to me on a thru-hike. But perhaps the most important thing I learned with regard to gear on the CDT is that bear bagging is simply not a fun way to spend an evening after hiking all day. 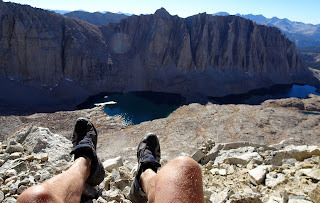 Many hikers sleep with their food in grizzly country, and while I would do this even while stealthing in the Sierras, I do not want to take unneccessary risks in grizzly country. So, I would bring an Ursack next time, which is improving with each new model. To make the picture more complete I can recommend reading the trail journal of Snorkel and her hike with Frogs (a k a Liz and Brian). Liz has also written an interesting piece on women and thru-hiking that you find here.